I think this is a really good soundtrack overall. There is a variety of sound with a diversity of moods and themes (just look at the tags to the right!) which gives it a broader appeal than those albums which only develop one or two moods or themes. Being a video game soundtrack however it has fallen into the one shortfall I find often in video game soundtracks: the songs are too short. Most of the songs are under 2 minutes. I find the best way to compensate for this is to throw a bunch of similar sounding tracks together into a playlist, but if such songs are scarce for you (for whatever reason) then the playlist can feel really repetitive. Songs such as “The Party Camp”, which is great for those quiet moments when in-party role playing often emerges, really could benefit from being at least 2 minutes longer. All that being said, there are some strong tracks here which I am glad to add to my library. I especially love the following tracks, “Mages in their Chantry”, “Common Dwarf”, “Enter the Kocari Wilds”, “Haven!”, and “Coronation”. 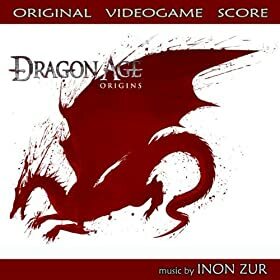 There are also many good battle tracks on this album such as, “Battle the Darkspawn Hordes”, “The Endless Wave of Hurlocks”, “Battle for the Urn”, “Attack on Denerim”, “The Battlle of Lothering Village”, “Fereldan at War”, “The Deep Roads”, “Battle the Blight”, “To Kill an Ogre”, and “Challenge an Arch Demon” (which is pretty epic).